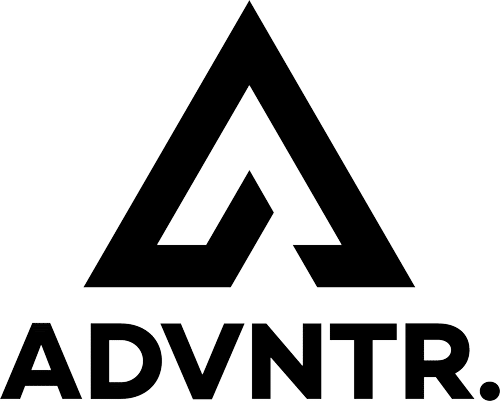 Passport Frequent Flyer seatpack - ADVNTR. 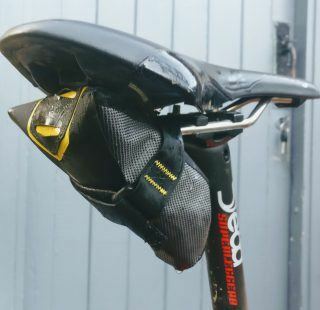 The Passport Frequent Flyer seatpack won’t break the bank and will keep all your essentials safely and securely tucked out of harms way under your saddle. 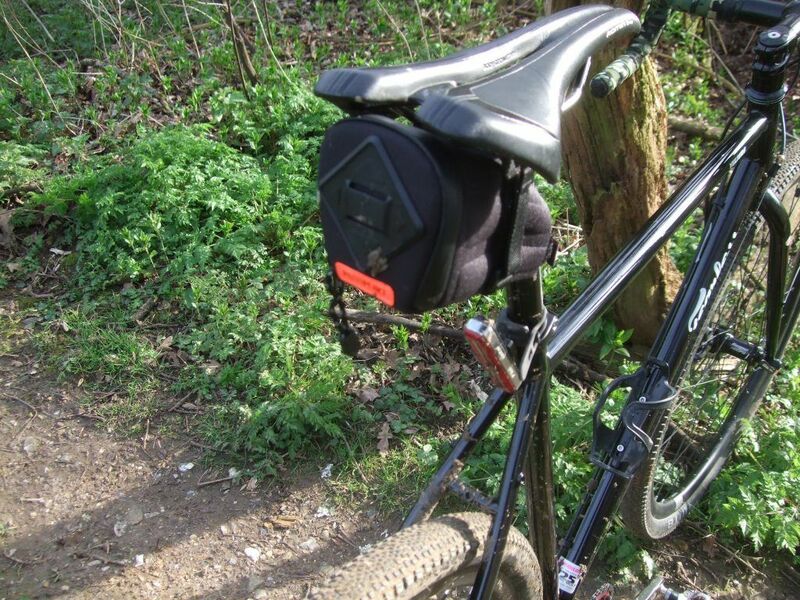 That’s where the saddle pack comes in handy. They may be frowned upon by Velominati and contravene Rule #31 but hey, who cares. If you are comfortable, you’ll ride further. Period. 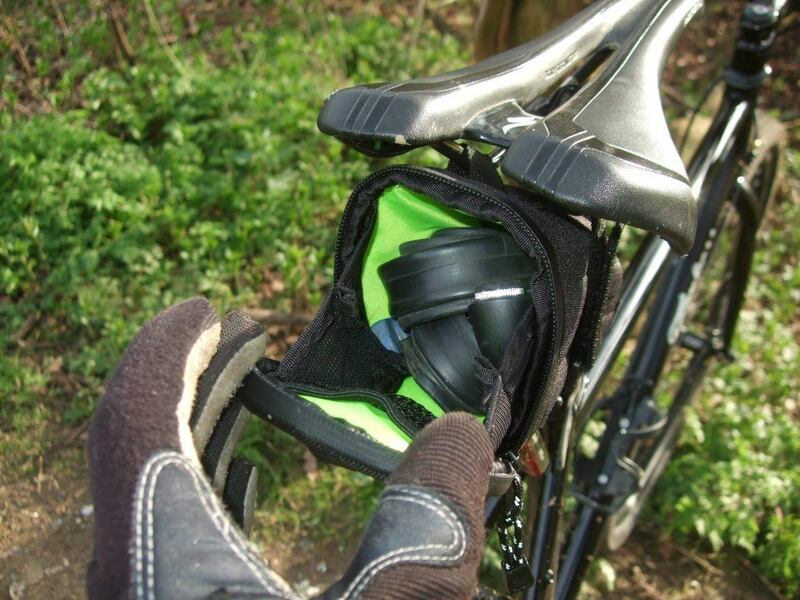 The Frequent Flyer from Passport stands out in the world of cycling accessories for one very good reason – it’s cheap. 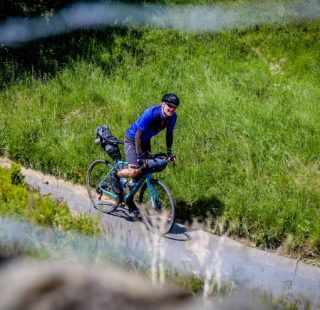 With a RRP of £15, it is significantly cheaper than the Apidura Expedition Tool Pack that we reviewed recently, by the tune of £25. Reflective detail and a LED light mount are the only external details. 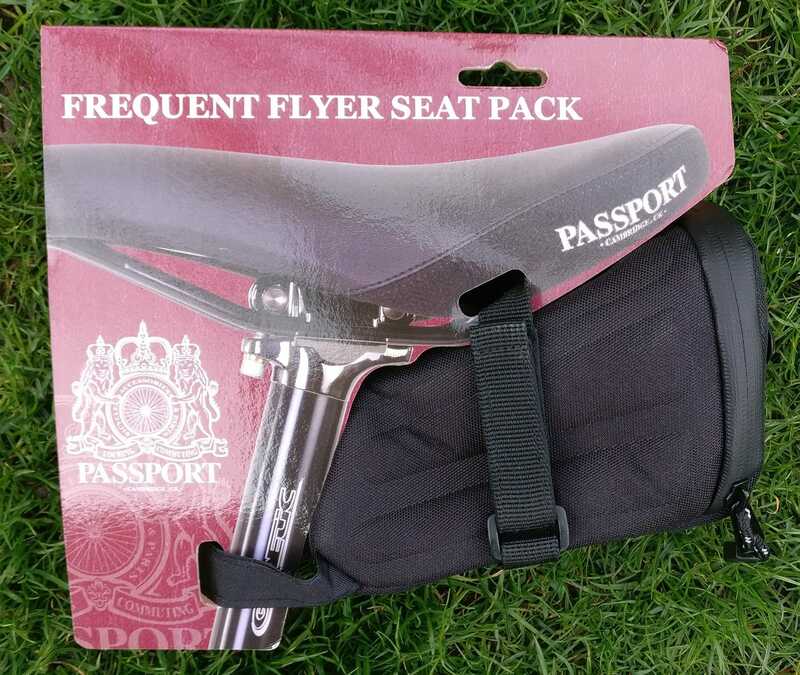 The Passport Frequent Flyer is a well designed and durable seat pack that fastens securely to the saddle rails with a pair of sturdy velcro straps, plus a third one to attach it to the seatpost – preventing any irritating rocking while you’re riding. 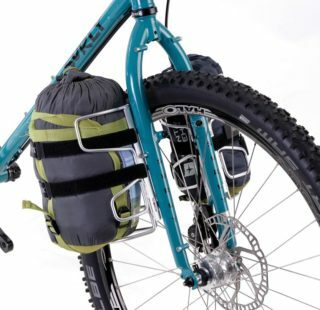 It’s large enough to store an inner tube, tyre levers and multi-tool, and a CO2 canister or a small hand pump. I’ve even managed to wedge a 5″ smart phone in the pack along with the other gubbins. As it is water resistant, your gadgets will be safe. I wouldn’t risk it in a downpour though, as the pack will eventually become saturated. The hard wearing 600D nylon material and sturdy zip closure means that the Frequent Flyer should last and last. The material is semi rigid and the pack retains its shape well, even if you don’t completely fill it. One well thought out feature is the bright green internal liner which makes it much easier to locate things you’ve stored inside. Black tools inside a gloomy saddle pack are usually impossible to find, so this was a welcome feature. 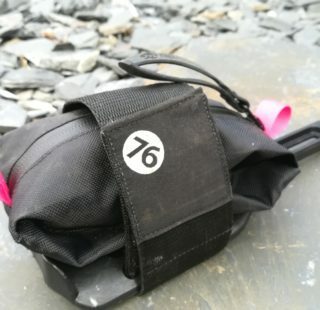 Excellent hi-vis internal liner makes locating items quick and easy. Externally, its all black and more black with little styling flair to get excited about. The Passport Frequent Flyer is utilitarian, not designer and we praise it for that. On the rear is a mounting point to secure an LED light and a small reflective strip of material as a token nod to road safety. Water resistant, padded semi-rigid 600D nylon material. Thoughtfully designed, hard wearing and with a secure and easy fitment. The Frequent Flyer is just large enough for all your riding essentials and won’t sting your wallet. We’ve Christened it The Brexit Bag because it’s cheap and we are all going to need cheap stuff! 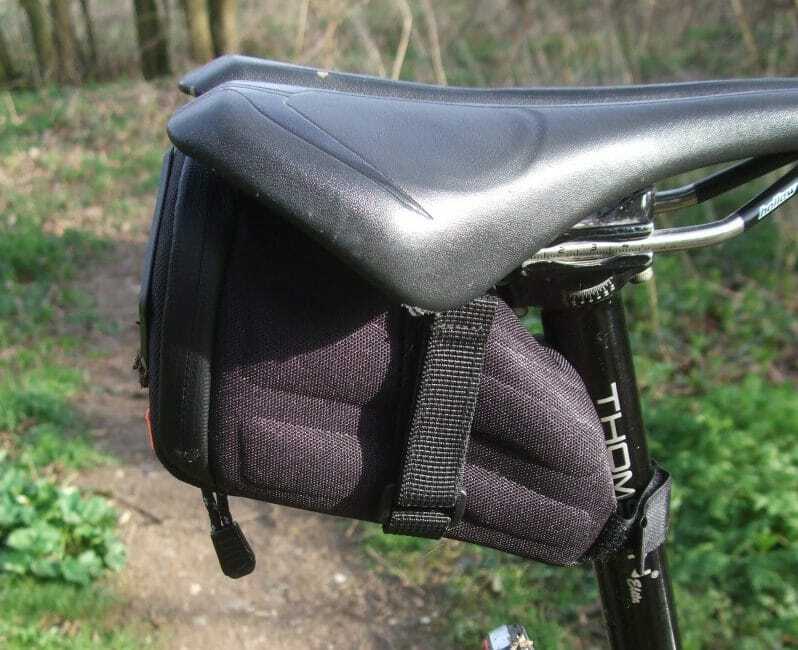 Great seat pack that wont break the bank or fall off your bike.